As regular readers (Hi mum!) 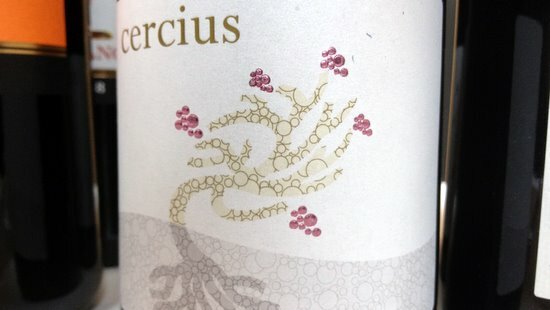 will know, I posted recently about explorations into unusual wines from the likes of India, Turkey and Japan – but this will almost certainly end up as No1 in my Wacky Wines of the Year top 10. It is called Nach Sieben, and it’s a a maderised pinot noir from Switzerland. Switzerland makes some excellent pinot noir, but y0u’ll find very little of it on British wine lists. There’s a good reason for that: they drink it all themselves. In 2009 the Swiss exported just 2% of all the wine they produced (and they don’t produce that much in the first place), while for example Spain exported 30%. So you won’t find any Swiss wines on the lists of the Wine Society, or Berry Bros, or Waitrose. If you want to try some, you’ll have to rely on one of a tiny number of specialist retailers (try Howard Ripley), luck out on a restaurant wine list or get yourself invited to the Swiss embassy for dinner. If you end up there, you’ll quite possibly be served something imported by the Swiss-and-Italian specialists For the Love of Wine, who discovered a single barrel of this “likörwein” on a buying trip and snapped up the lot. It’s fruit from the 2003 vintage, of which half spent three years in oak barrels while the other half spent three years in “big glass balloons” on the winery roof, before it was united to spend a further five years in a single barrique. I’m not much of a winemaker myself, what with living in Finchley and stuff, but the glass balloons on the roof business strikes me as being towards the extreme end of total wackiness. Anyway, it paid off – a seriously walnutty and very enjoyable curiosity that should retail at about £13.25. If you’d prefer a more traditionally-styled pinot noir from an unusual location, may I suggest the Edoardo Miroglio 2009 from Bulgaria. Swig are currently selling the 2008 for £12.50, which I haven’t tried, but will presumably soon switch to the later vintage. You’d do very well to find better quality at this price range, but don’t try to save money by buying his cheaper Soli offering, which is much less good and only £2.50 less expensive. Both these wines were discovered at the recent, very busy and rather bewildering SITT (Specialist Importers Trade Tasting) event in London. 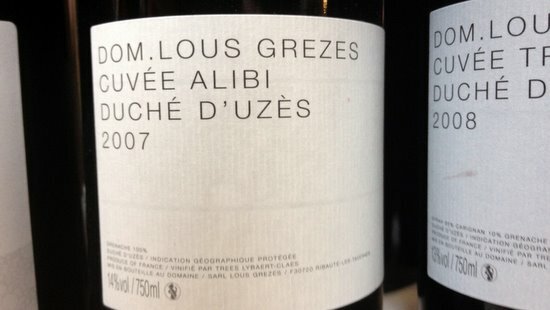 Swig’s table carried impressively rich pickings, from which I’d also recommend the wild, almost port-like, yet fresh and insanely drinkable Domaine Lous Grezes “Cuvee Alibi” 2007 (they’re currently selling the 2006 for £21 and will put the price up by 50p when they move to the new vintage), 100% grenache released under the obscure Vin de Pays du Duché d’Uzès appellation, and the Michel Gassier Cotes du Rhone Cercius 2010, which is a fabulous, hedonistic taste explosion. The Americans got 5,000 cases – it’s all over the internet stateside at about $12.99 – and from the looks of things (it’s still unavailable here) we haven’t been left with much. Not yet on sale, and due to cost £13.95 when it does, it’s well worth a try. Nice label too. And, for the record, my mum never reads my blog. Recently discovered you blog Simon, very interesting article, Switzerland is perhaps not one of the first countries most people might think of with regard to producing quality, affordable wines, so it was certainly an surprising read and I will certainly be keeping an eye out for any of the wines highlighted above,especially as Pinot Noir is a firm favourite!